Carbon is the political challenge of our time. While critical to supporting life on Earth, too much carbon threatens to destroy life as we know it, with rising sea levels, crippling droughts, and catastrophic floods sounding the alarm on a future now upon us. How did we get here and what must be done? 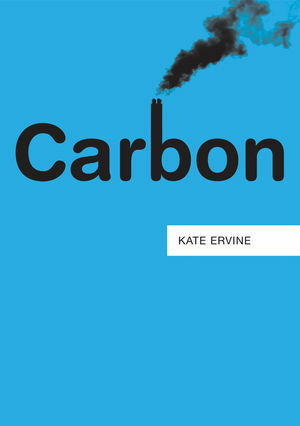 In this incisive book, Kate Ervine unravels carbon's distinct political economy, arguing that, to understand global warming and why it remains so difficult to address, we must go back to the origins of industrial capitalism and its swelling dependence on carbon-intensive fossil fuels – coal, oil, and natural gas – to grease the wheels of growth and profitability. Taking the reader from carbon dioxide as chemical compound abundant in nature to carbon dioxide as greenhouse gas, from the role of carbon in the rise of global capitalism to its role in reinforcing and expanding existing patterns of global inequality, and from carbon as object of environmental governance to carbon as tradable commodity, Ervine exposes emerging struggles to decarbonize our societies for what they are: battles over the very meaning of democracy and social and ecological justice. Kate Ervine is Assistant Professor in the International Studies Program at Saint Mary’s University, Canada. "Carbon is both an old resource and a highly novel one. Ervine provides us with a fantastically crisp and clear account of both the old carbon economy of coal, oil, and gas, and the new carbon economy of carbon markets and carbon accounting. A great introduction to the resource that will ultimately determine the fate of the planet and all of us who live on it." "Carbon is a comprehensive analysis of emissions-reduction initiatives that reproduce fossil-fuel power structures, with highly unequal global climate change impacts. Detailing the centrality of carbon in our lives, Kate Ervine’s didacticism inspires collective actions beyond individual green consumption." "Kate Ervine has written a superbly insightful and accessible book on carbon dioxide. Through lucid prose, Ervine guides us through the everyday life of carbon to its global dimensions. This is an absolute must-read for anyone interested in understanding more fully one of the most pressing issues in contemporary times: climate change."